A lot of Klout perks arrived in the mail while we were in Hawaii. 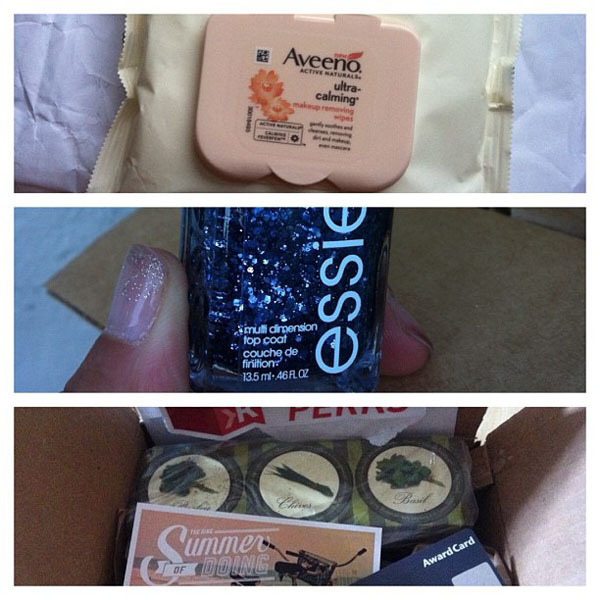 Aveeno Ultra-Calming Makeup Removing Wipes, Essie Multi Dimension Top Coat and the Bing Summer of Doing Kit. I realized what I really like about Klout. I love getting the Perks in the mail! It's like having a generous pen pal. Now I need to get down to trying these goodies. I've never gotten anything that good! :( Any tricks? When I see other's tweet about their perks I click on those links. I also click on some that say I don't qualify and will find I am still able to sign up for them.